First Ballantyne, LLC is a fixed-income securities broker/dealer located in Charlotte, North Carolina, USA. The firm was founded December 30, 2002, and began trading operations in May 2003. We conduct business on a fully disclosed basis through our clearing firm Wedbush Securities, Inc. First Ballantyne’s Market Maker Participant ID (MPID) is FBLT. 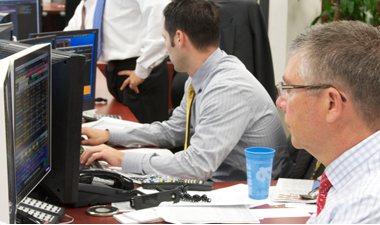 Our professional staff offers institutional investors and the fixed-income broker/dealer trading community over 100 years of combined trading experience in taxable fixed-income securities. 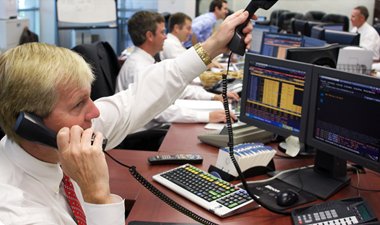 As an independent sales and trading boutique, the firm’s primary areas of concentration are position trading and market-making in corporate bonds, municipal bonds, and mortgage-backed securities. First Ballantyne’s offerings are currently displayed on six of the most popular automated trading platforms that reach dealers and institutional investors world-wide. Thanks to your interest and support, we are a preferred trading partner to many professional fixed-income security traders located throughout the US, Europe and Asia. If you are a fixed-income professional and would like to view our current fixed-income offerings please contact us at your convenience.